Thomas J. Rilling, 45, of Arlington Place, Portsmouth, Virginia died of cancer on December 14, 2009 at Maryview Hospital in Portsmouth, Virgina. He was born June 1, 1964 to Donald “Perch” and Marilyn Gessner Rilling in Port Washington, Wisconsin. Raised in Port Washington he graduated from Port Washington High School in 1982. He began working as a dishwasher at the Pasta Shop and later worked for Formart Containers in Cedarburg. He then worked as a performance DJ in Maryland. Most recently he was the Unix team manager at Bank of America. TJ was a gifted and talented artist. He played the guitar, wrote and produced his own original music and was interested in videography. He was the songwriter and lead singer of the Arlington Attic Band along with his music partner and co-writer Brian Hawkins. The band had released two albums. He liked to hike with his dogs in Virginia, enjoyed swimming, was an avid Packers fan and played World of Warcraft online. TJ donated his corneas, giving the gift of sight. Rev. 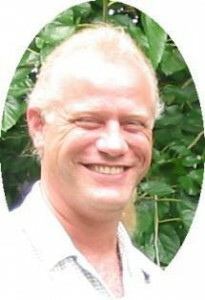 Patrick Wendt will officiate funeral services 7:30 pm Saturday, December 26, 2009 at the funeral home. Visitation 4 – 7:30 pm Saturday at the funeral home. Memorials to the Human Society of choice appreciated.